Are you planning for next summer yet? Looking for a National Park that has it all? Olympic has a little bit of everything and a whole lot of amazing. Focusing a trip around this park will add interest for every single person in your family, and if I had to pick a Top Three favorite parks, without a doubt, this one would be on that list. Here are my top five reasons why. 1. 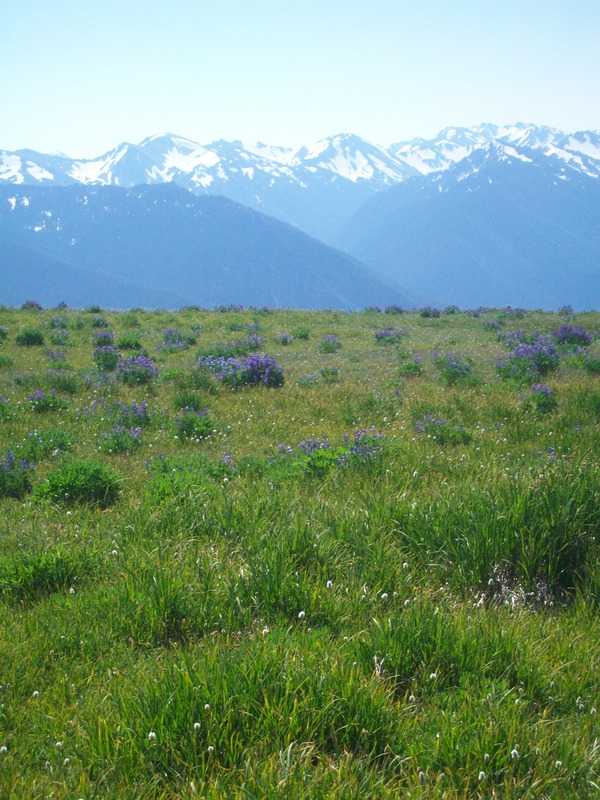 Hurricane Ridge, O.N.P. This is the view. Don’t miss it. Our first night inside the park we camped at Heart O’ the Hills. It is a beautiful campground nestled among the dense Montane Forest, and immediate access to the adventurous Heart O’ the Forest Trail. 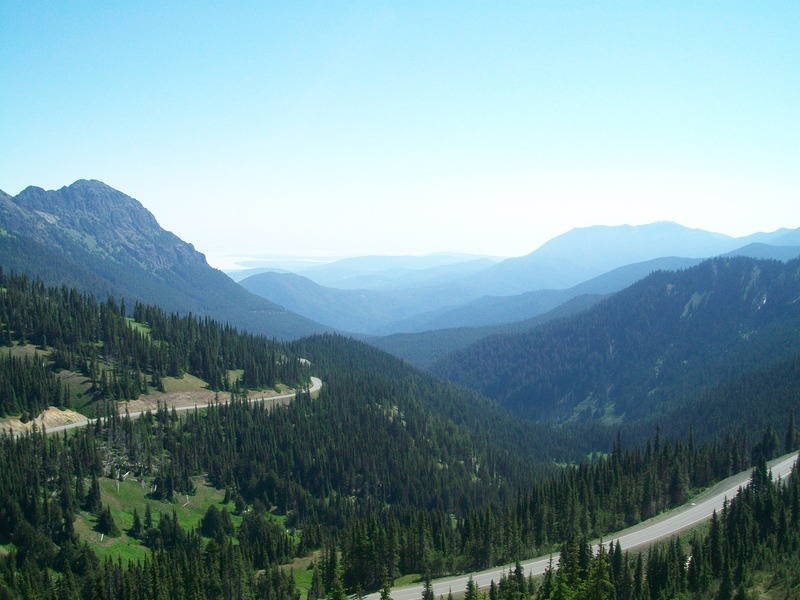 The next morning we awoke and drove up to one of the great Olympic Peaks at Hurricane Ridge. Prepare to be amazed! This view reminds us that there are places in America that can rival any scene over seas in beauty and grandeur. The deer in velvet walking around us, the high alpine meadows full of blooming wildflowers, and the tree line framing the ocean of snow-capped peaks as far as you can see, made this one of the most beautiful days of our entire thirty day trip. 2. Hoh Rainforest, O.N.P. Yes, America has a rainforest. Specifically a Northwest Temperate Rainforest, and it is soggy and green and lush and incredibly beautiful. There are an infinite number of things to do here. You can take a ranger walk to learn about this incredible forest ecosystem. You can climb on a colonnade of Sitka Spruce. What is a colonnade? Read about them here. You can read a book under the great green canopy that filters the afternoon sun. Or let the kids play in a shaded green meadow. You can engineer a rock canal in a glacier river. Or wade along the bank of it’s icy waters. You can take an early morning hike. Or find a hidden rock waterfall, and just see what happens while you are there. Just be there. This incredible forest is full of the bountiful gifts of nature. 3. Rialto Beach/Mora, O.N.P. The nourishing and dense coastal forest of the this park give way to the sprawling rocky beaches of the Olympic Penninsula. These beach scenes are framed with the pounding surf, the rocky tidepools, the giant driftwood that washes ashore, and the distant, rocky sea stacks off the beach. It is perfect place to romp and explore and just let the kids run free. Bring a picnic and take the afternoon to enjoy the unique ecosystems along this coast. 4. Forks, WA. Do you have a tween in your household? Although this obviously does not have universal appeal, sometimes the best motivation for getting your tweens and teens outside in the woods, is to take them somewhere they really want to see along the way. For us it was Forks. 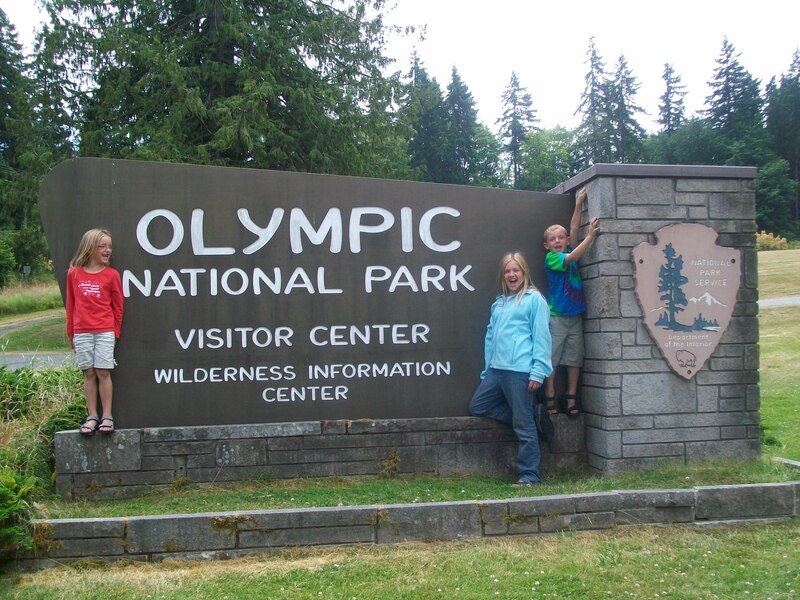 Oh yes, the year we came to the Olympic Peninsula, my eldest daughter was deep into Twilight obsession mode, and we did it all: Port Angeles, Forks, and LaPush. We saw Bella’s car, Bella’s home, Edward’s home, the hospital, the high school, and a few other settings sprinkled throughout the books. I have to applaud the town of Forks. Not only have they graciously embraced all the Cullen crazed visitors into their town, they have gone out of their way to re-create the magic of the book’s setting for Twilight fans around the country. 5. Seattle, WA. Part of planning a long summer vacation, is making sure that there is highlight for everyone in the family to enjoy, and seeing one of the country’s most unique cities might be more appealing to some than spending days sleeping on the ground and hiking in the woods. Maybe. Either way, Seattle is the gateway city to the Olympic Peninsula, and you should take advantage of your proximity to spend a couple days in the city. Take a flight up to the top of the Iconic Space Needle and enjoy breathtaking views of the city and the Puget Sound. Let the kids romp around the Seattle Center, splash in the fountain, and take a whirl on the carnival rides. The Experience Music Project is a unique, world-renown museum that any music lover in your family will enjoy. The Pacific Science Center, the Seattle Aquarium, and the Woodland Park Zoo are also fantastic outings for the whole family that offer enjoyable interactions with nature. And what is a trip to Seattle without a stroll through Pikes Place market? Pick up some meat on a stick and bury your nose in the beautiful flower bouquets. 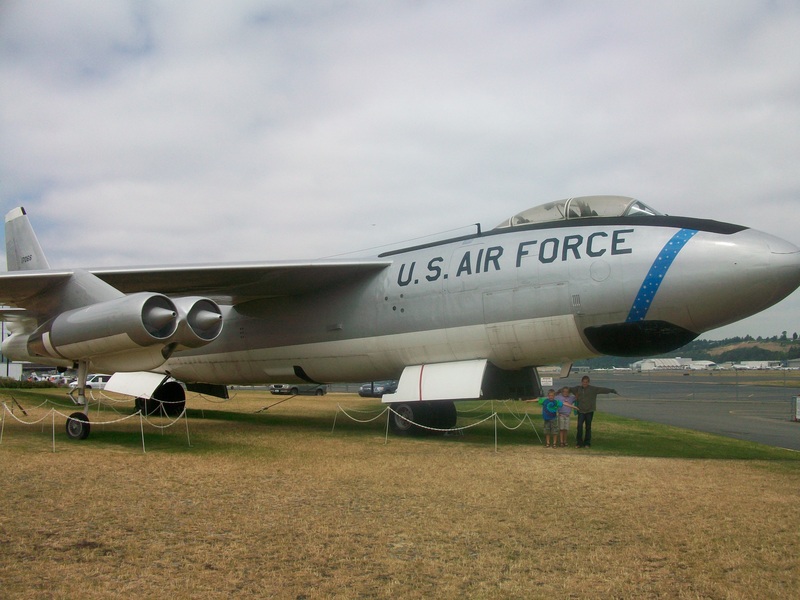 Sports fans would love to catch a Mariners or Sounders game and the family history buff will enjoy the incredible Museum of Flight, our absolute favorite museum in Seattle. There is something for everyone here. All in all, I don’t think there could be a better focus for your first trip to the Pacific Northwest than Olympic National Park. Remember, our entire northwest trip itinerary is posted here.